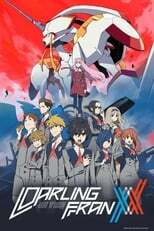 Where can you stream DARLING in the FRANXX? On 2018-01-13 Action & Adventure/Animation TV Series DARLING in the FRANXX first aired on Tokyo MX. Written and created by Toshifumi Akai & Atsushi Nishigori, and produced by TRIGGER & Clover Works, DARLING in the FRANXX has ended and last broadcasted on 2018-07-07.